Brand USA President and CEO Chris Thompson says Canadian visits to the U.S. were up substantially in 2017, bucking a worldwide trend. DENVER - President Trump may have driven down overseas visits to the U.S., but Canadians are visiting south-of-the-border destinations in record numbers, Brand USA officials said Monday. U.S. authorities are forecasting a 22 per cent increase in Canadian visits between now and 2022. 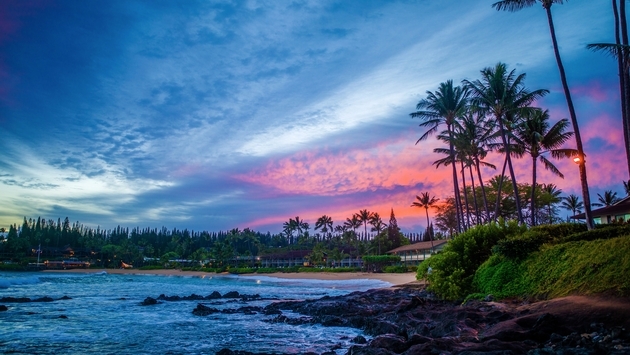 Canadians continue to flock to destinations all over the U.S. Pictured here is beautiul Napili Bay, Maui, Hawaii. Not only are from Canada arriving in record numbers, we’re also spending a ton of cash in the U.S. Brand USA officials said Canadians in 2016 spend $19.4 billion USD on their visits. More than one out of four international arrivals to the U.S. in 2017 were Canadians; 25.4 per cent in all, officials said. It’s not a surprise given the constant increase in airlift from Canadian airports to U.S. destinations. Air Canada, WestJet and Porter are consistently flights to Florida, California, Hawaii and the U.S. northeast. They didn’t quite put it that way, but without Canada U.S. tourism would be in a desperate way. Overall international visits to the USA were down a sizable 3.8 per cent last year. Thompson said Brand USA continues to pay close attention to key markets such as Canada and Britain, but he also outlined plans for a China-US Tourism Summit in Hangzhou, China in September of this year. 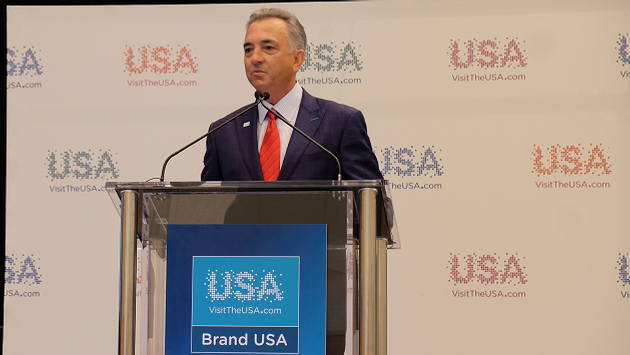 Brand USA has undertaken a number of significant marketing programs in an effort to boost visitation. They have a 24-hour-a-day, 365-day-a-year TV station, GO USA TV, which can be found on Apple TV, Roku and Amazon Fire. The Brand USA IMAX movie focusing on U.S. National Parks has won major awards and has been seen by more than seven million people around the world, Thompson said. Overall, in the last five years Brand USA has boosted visits to the U.S. by more than 5.4 million, with incremental spending of$17.7 billion USD, he said. During a discussion about welcoming visitors to the U.S. in a time when Trump is making noises about immigration and other sensitive issues, one Brand USA board member stood up and unrolled a bright red carpet, suggesting everyone is welcome to visit the U.S.
“We want tourists, not terrorists,” she said.